Love Love Love this shoot that I got to do with Fox 10 this morning at the beautiful Farm at South Mountain. (Such a lovely place for a wedding.) We had a little more time this one around to prepare so we were able to pull a really beautiful table together. Special thanks to the photo artist herself, Miss Melissa Jill for providing these cool photos. You're such a pro! Rental Items were provided by Tri-Rentals. Many thanks to Deb & Diana for the assistance. 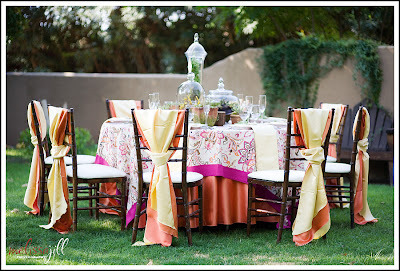 The amazing and colorful linens were provided by BBJ Linen. 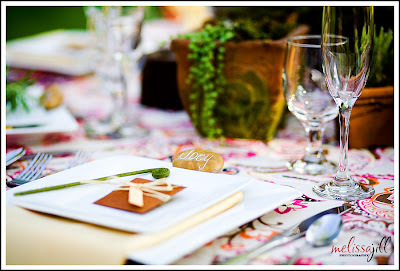 My recommendation is to start with linen when planning your event. Either Laurie or Julie will take great care of you. Thanks ladies! 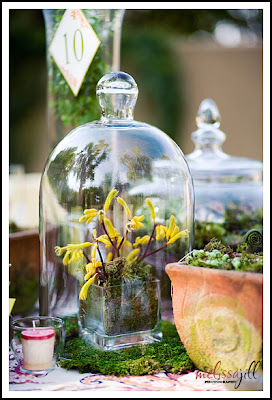 Breathtaking floral was provided by the wonderful Jeanne of White Poppy. So creative and nailed just the look I was going for. Great job!! 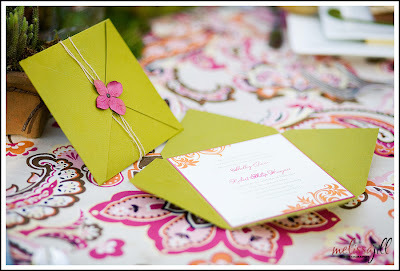 Speaking of creativity...the invitation was custom designed by Rikki, The Invitation Lady. Thanks for your beautiful designs!! Me, Jeanne and Rebecca totally posing as if we were working so hard. Check out the stunning dress to the right made by Rebecca with Jewel Couture. 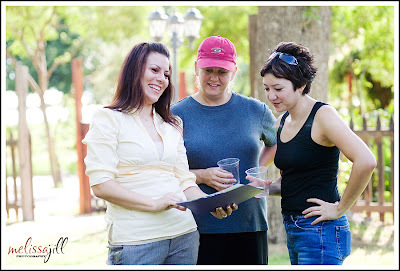 Hosting the shoot was Valley's own Andrea Robinson from Fox News. I do have to say a special congratulations to her for being a newly engaged bride herself. Click on the picture below to see the sweet proposal. To watch the shoot in it's entirety click here.